For the politically conscious, my attitude towards the Coalition government is grounded in reality, and logically explainable. And to misrepresent it as opposition to President Barrow is rooted in lack of understanding of what government is, and the role of citizens in the function of their government. For me, this is nothing personal. 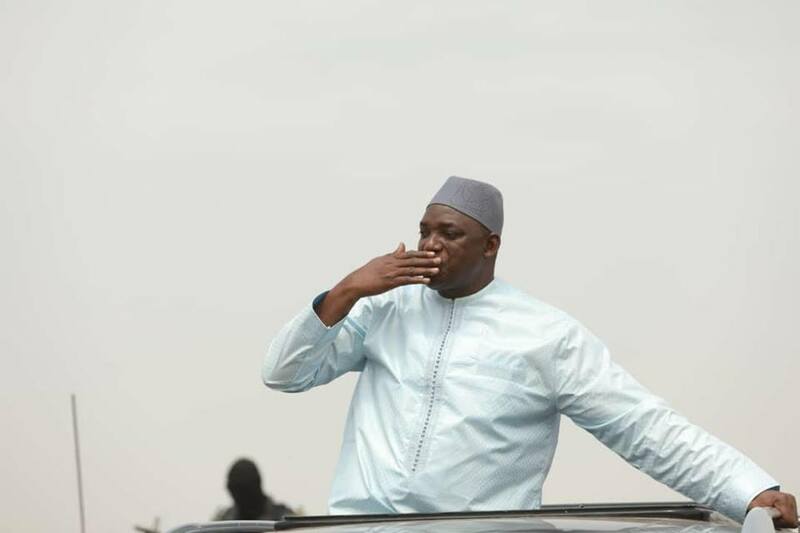 I campaigned for the election of Adama Barrow, despite the fact that I know he completely lacked the intellectual capacity and knowledge to be president. I was, like many, left with choosing the lesser of two evils; the butcher Yahya Jammeh and the totally ignorant, Adama Barrow. I chose the lesser of two evils. But, I began to sour against Adama Barrow when I heard stories of wheeling and dealing, while he was still not sworn in, and in Dakar, Senegal. But that did not aggravate my sensibilities as much as the subsequent UDPnizing of the government. I took great umbrage to that, obviously, and people who followed my posts can attest to that. For me, this crystallized a return to the pre-1994 Gambia, and the Mandinkanization of the government. It robbed me the wrong way. This was followed, in short order, by the hiring of former enablers of the defunct regime; people who were catalysts in the entrenchment and longevity of the former regime. But, there was a double edge to this one; it was conversely the concurrent neglect of the diaspora without whom this movement against Yahya Jammeh would never have taken root. This was more than disrespectful to the blood, sweat, tears and resources shed by the diaspora. And to cap it all into a neat capsule of utter disregard and ignorance, the Coalition government began to morph into a Yahya Jammeh era of instability in government, the inordinate amount of power centralized on the presidency, the frequent hiring and firings, lack of accountability, disregard of the Constitution, griots and waves of citizen groups submitting to the whims of Adama Barrow, the teenage groups who swear filial submission to Adama Barrow, dashing out millions of dalasis, and not to mention the endemic corruption, which in theory, parallels that under Yahya Jammeh. From the very beginning, everything seemed too much for me to wrap my head around. My attitude now reflects each of these circumstances individually, and the totality of all, combined. I am looking at the broader picture; Gambia. I have no time to worry about Adama Barrow. Let that sink in your heads, once and for all. Breaking News:Muhammad Doua Sillah the UDP chairman of Garawol has resigned from UDP to President Barrow.